Hi everyone! 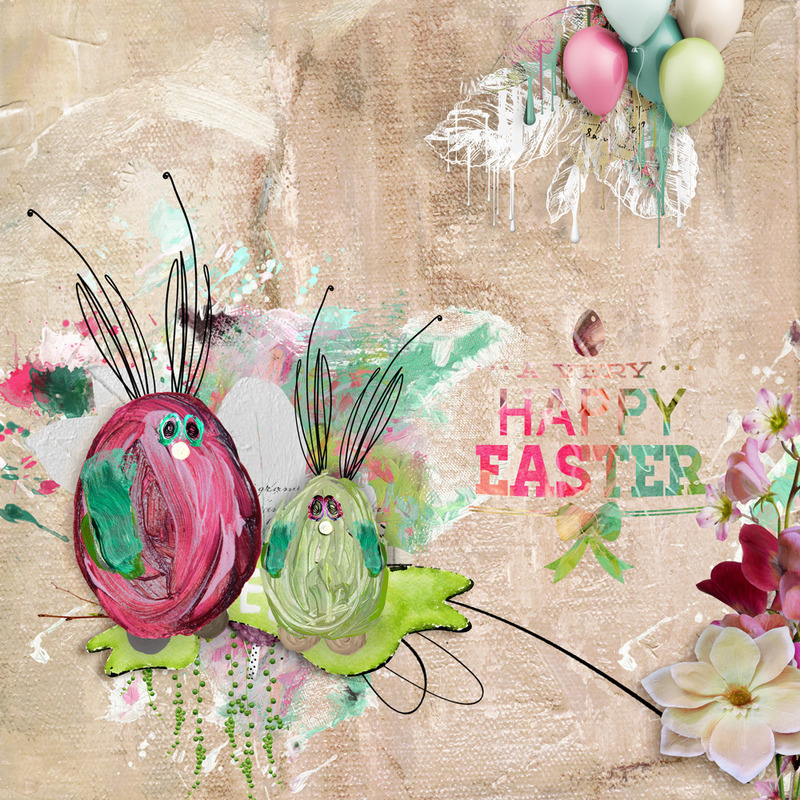 Anne here with a page I made using the Spring Flings & Easter Things collection from NBK Design at Oscraps. 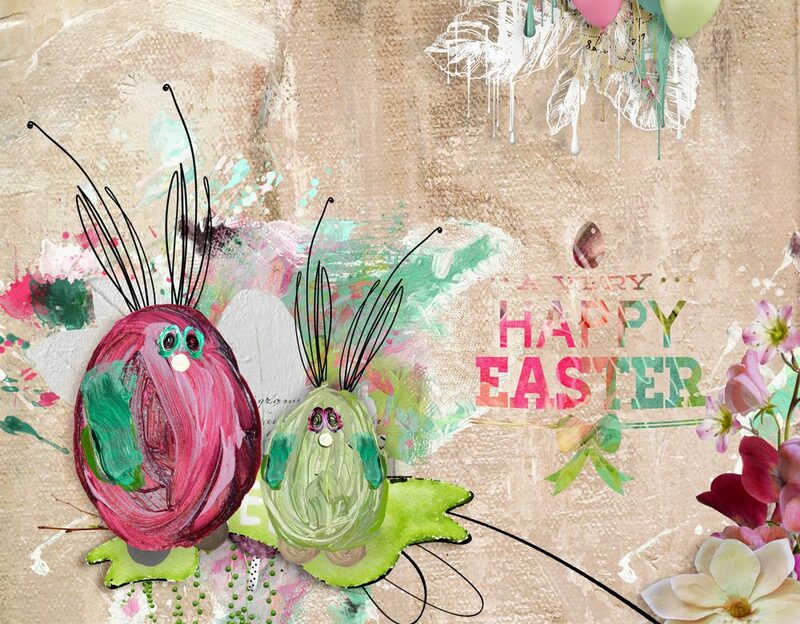 I know Easter is a little way behind us now, but when I saw the gorgeous paints, I couldn’t resist trying to make some Easter bunnies with them. As you can see, they look more like eggs with ears, than bunnies, but I still love the end result. I’ve had such fun with this collection, and I know you wil too!